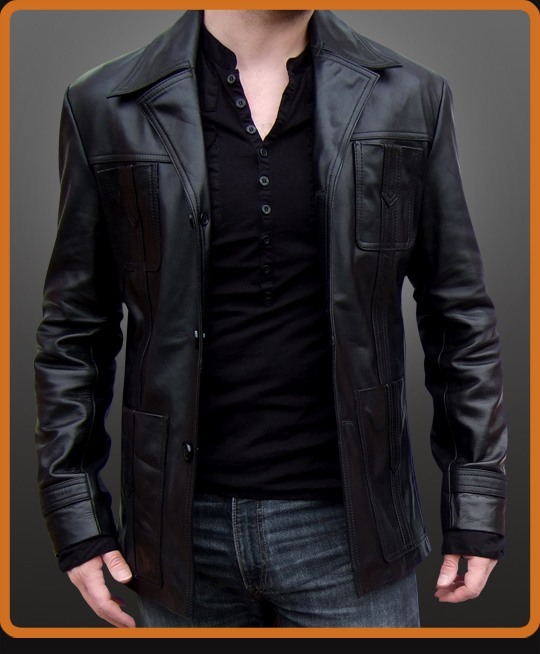 Men’s black leather jacket replica from Life on Mars UK television series. Inspired by the Sam Taylor character portrayed by John Simm. Classic vintage styling with stitching along front seams and across the patch pockets. Notched lapels and special cuff detail. The custom tailored look of this jacket makes vintage 1970’s styling extremely wearable today.